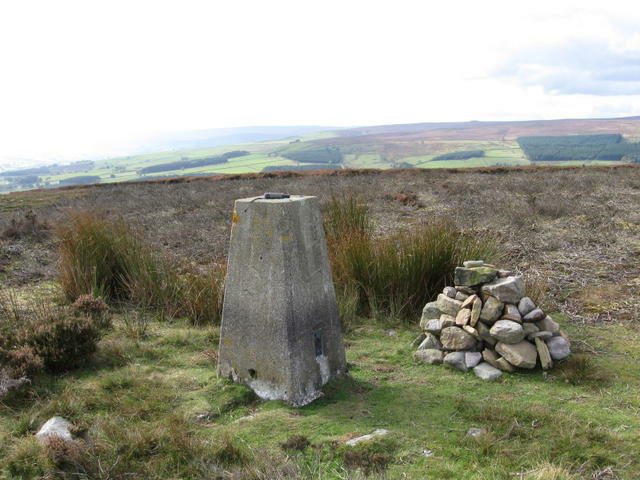 Is ranked joint 1388th with 23 other trigs (more). Visited with P61, great views today. 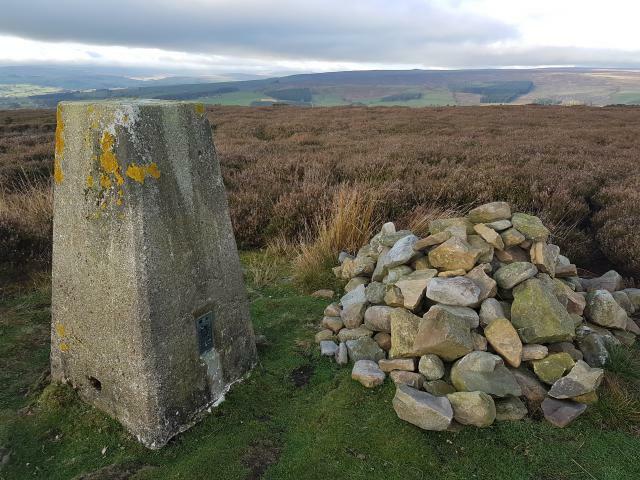 Easy walk up from the farm not really any mud today but problems by passing a load of beef cattle an calves in the first field.fine views trig in vgc plastic plug highest point in landranger sheet 88. Uneventful walk from Salters Gate. Light drizzle and muddy underfoot. From the Thistlewood farm to the south, the track was thankfully frozen otherwise I think it would be rather muddy. Empty fields and decent views. 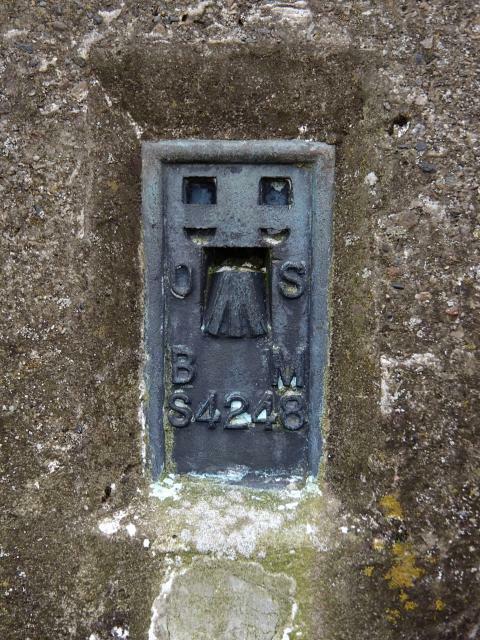 Interesting walk over the dam at Tunstall Reservoir. Some heather burning going on over Wolsingham Common. Blue sky, cold and crisp underfoot. 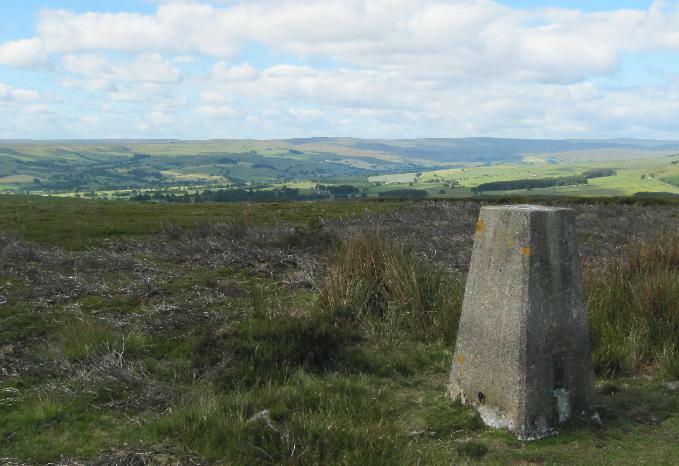 Trig commands a lovely spot with panoramic views. Approached from Salter's Gate. Spider has plastic cap. 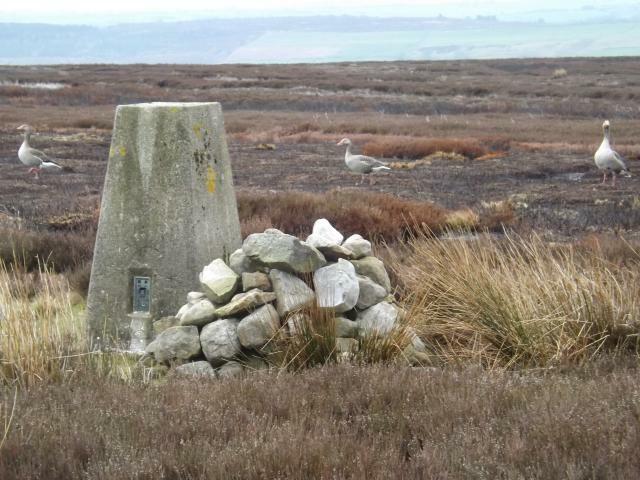 There is a cairn next to pillar. Pretty good views. 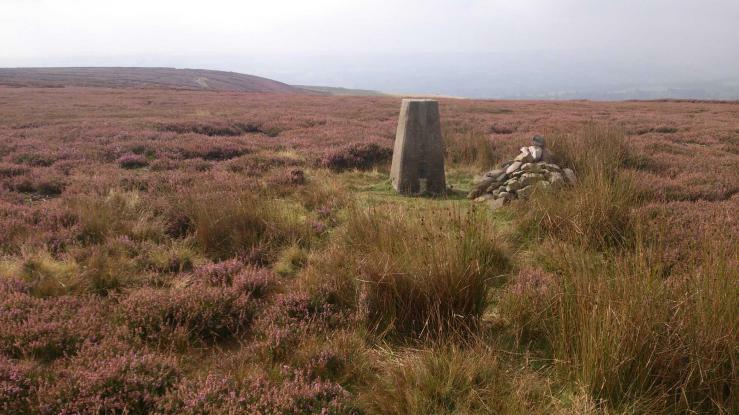 Lovely 6 mile circular walk from fishermans car park. 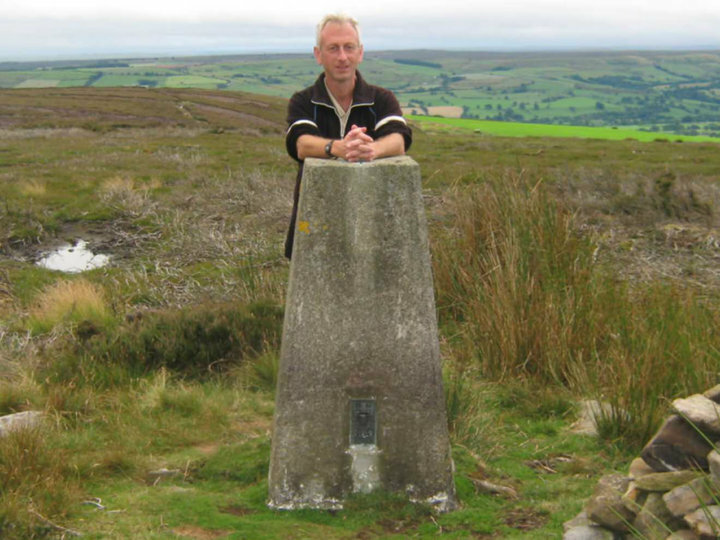 Parked at the end of the road by Thistlewood Farm and followed the track to the pillar. Panoramic view. Plastic cap. 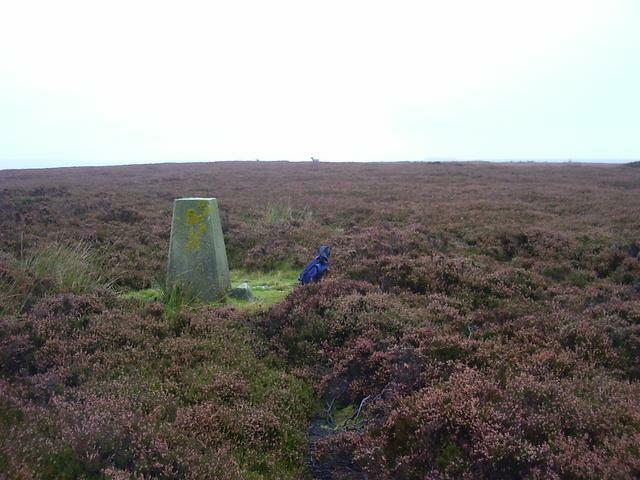 Cairn adjacent. Not quite at high point. 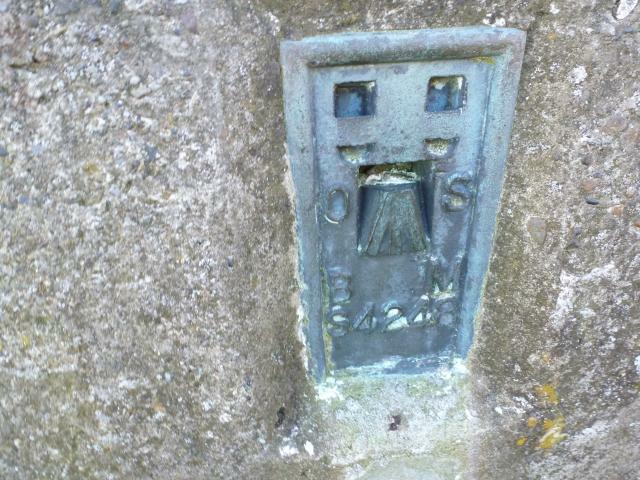 This was nearest pillar to home not yet ticked. Fine walk from Salter's Gate. The endpoint for me after finding a few geocaches. Parked at Salter's Gate visiting a number of geocaches en route. Several black grouse keeping an eye on me. Parked near Foresters Lodge then walked across dam wall. 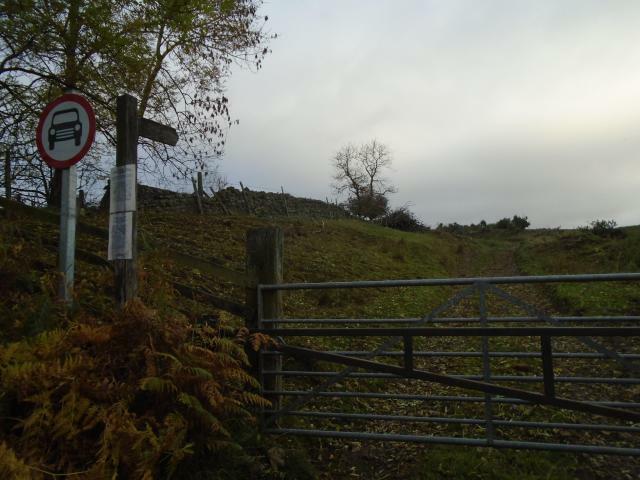 The footpath heads up very steeply to the Backhouse Bank farm then to the byeway on the ridge which we followed to the trig. 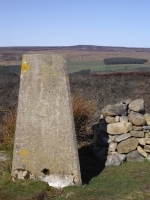 Walked from Wolsingham with friend up E side of Waskerley Valley to reservoir then up track to old railway line. South down green way on W side of valley taking in TP. 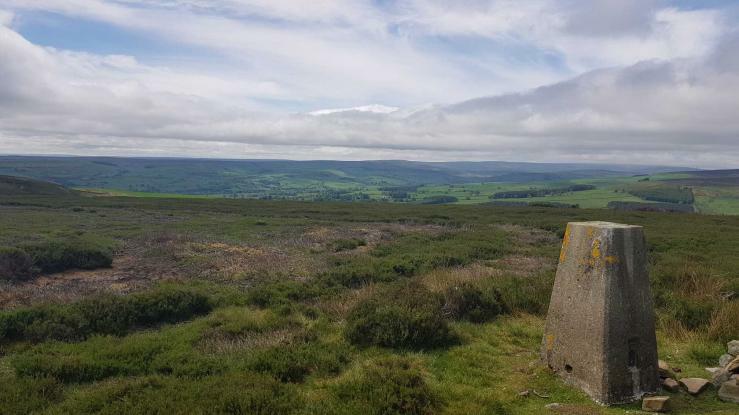 Good walk, fabulous weather, excellent views. 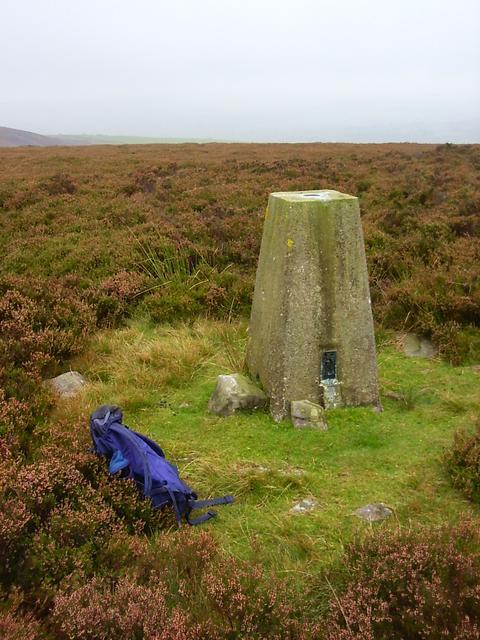 A re-log of our closest trig-point to home (apart for the Wolsingham FBM). 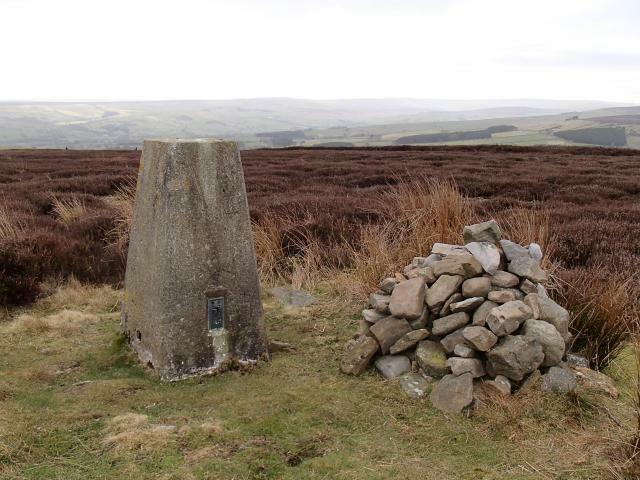 Walked up the Waskerley valley from Wolsingham, across the Tunstall dam and on to the felltop. 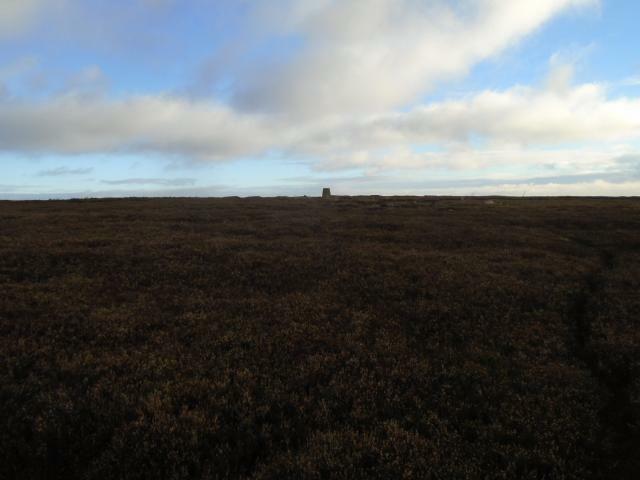 The trig isn't at the highest point; it's placed on a stone platform in the peat for stability ?the remains of an old building or prehistoric cairn.... but nothing in the historic environment record to confirm this. 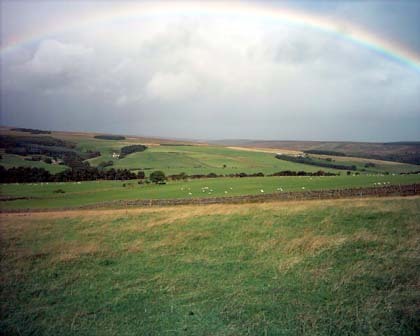 Beautiful view up Weardale. A rather boggy return home via Thistlewood Lane. 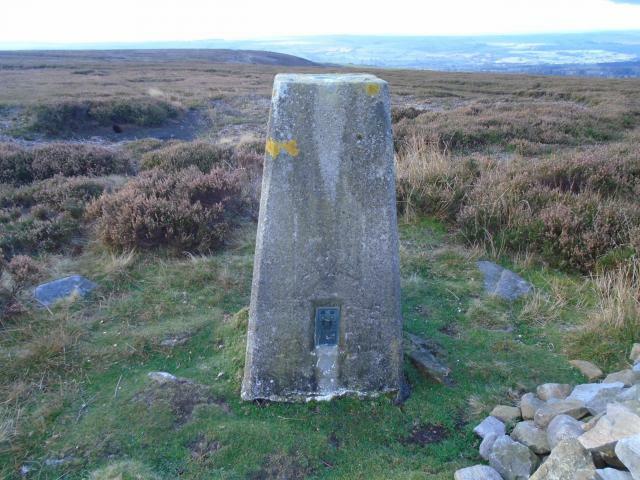 HISTORY: Pillar completed 18th September 1947 costing �5.16s.6d. Computed as tertiary triangulation station NZ42/T37 in 1948. 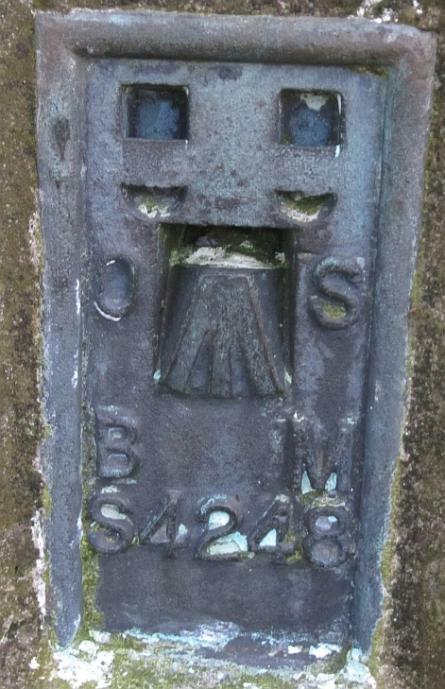 Levelled for height in 1958. 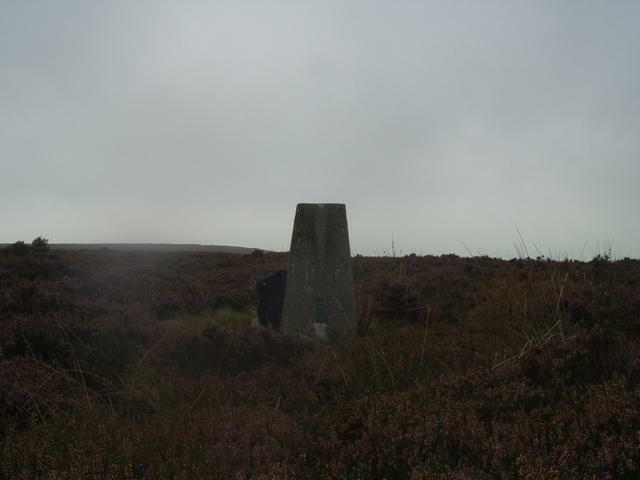 Last maintained by the OS in December 1980. SITE VISIT: Approached from SE. Drove along rough track from NZ092347 to nearest point where there is a turning circle. Direct route via mapped RoW. 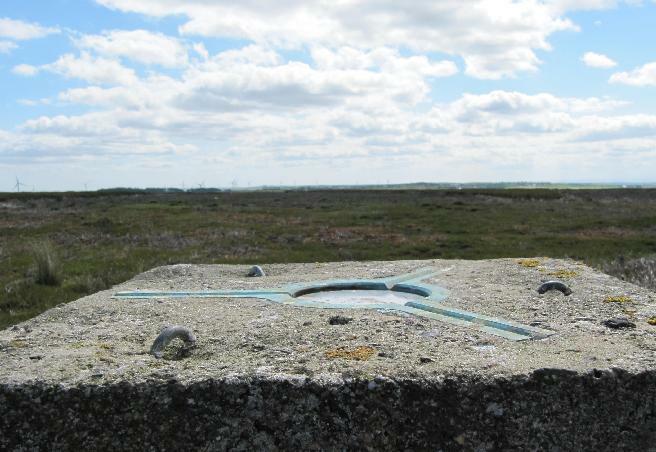 Grassy grazing moor. 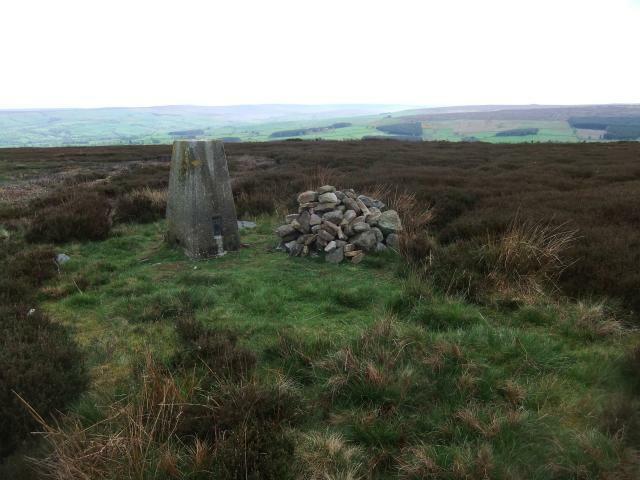 Pillar completed 18th September 1947 costing �5.16s.6d, still in good condition. Spider centre open. 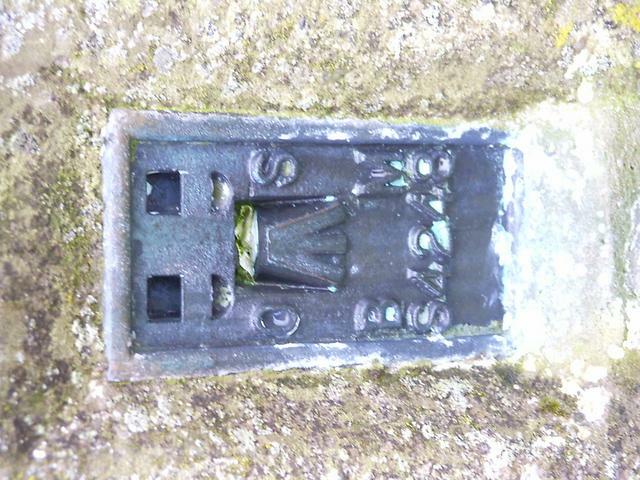 Flush bracket faces 192� SSW. Vented through SW sight hole. 270� open outlook, parts of southern aspect blocked by trees ~200m away. Photographed 24/07/2010. GRP. 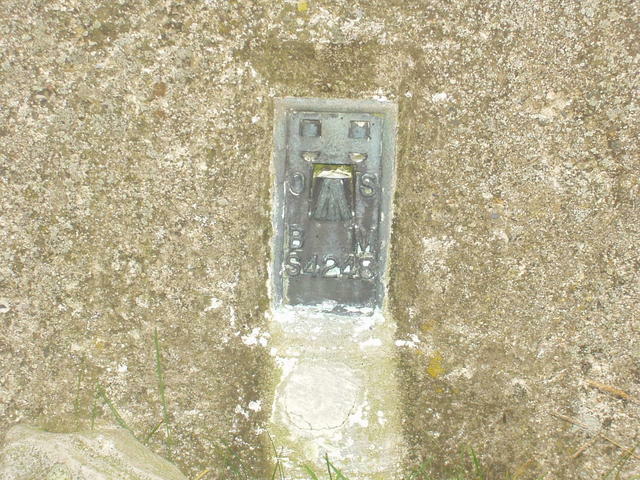 Plug replaced by plastic cover; one sighting hole open; loops slightly above top surface of pillar. 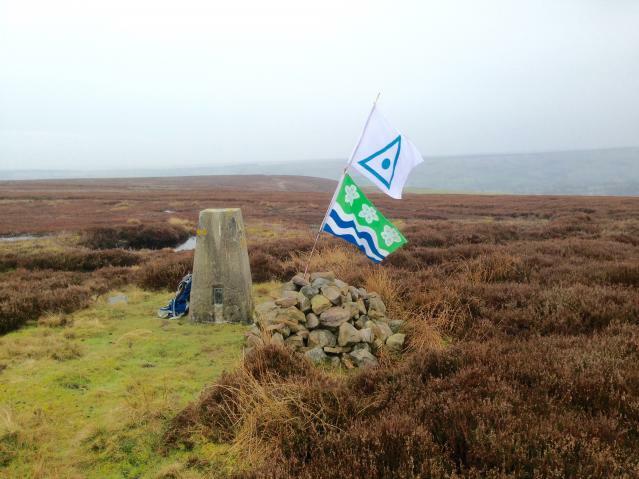 Breezy with good views into Weardale. Visible and easily accessible. Just off public footpath. 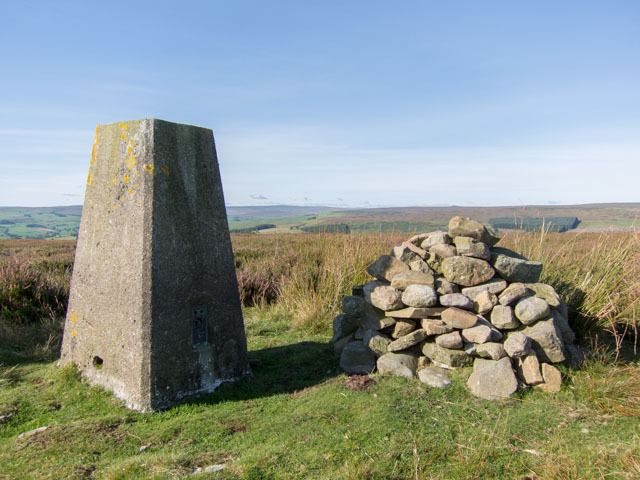 I walked up from Wolsingham and then dropped down to Tunstall Reservoir which made it into a lovely walk. 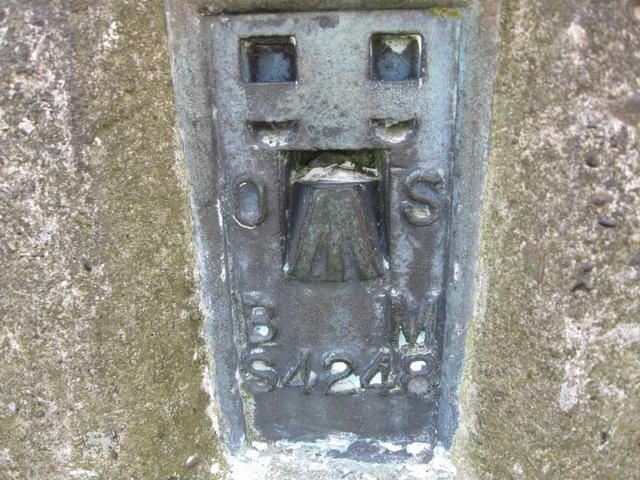 Pillar in good condition with plastic plug. 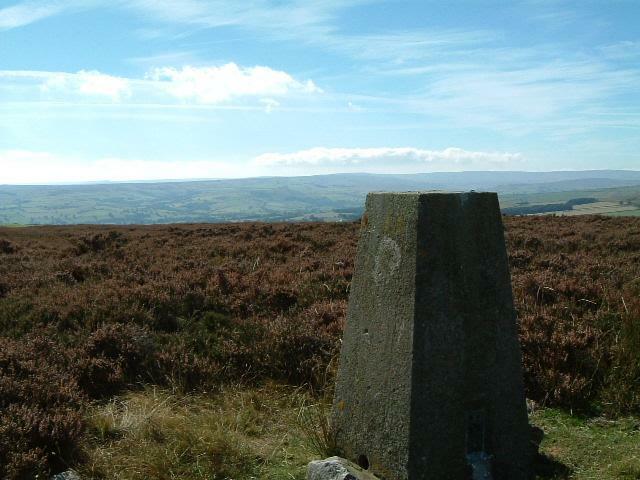 Some lovely all round views of the surrounding area. 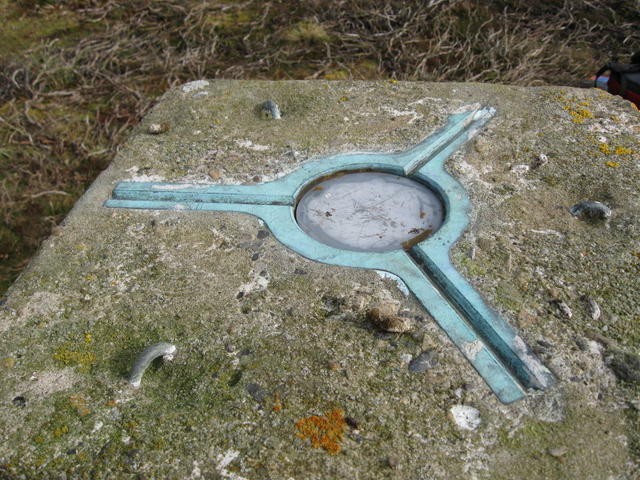 S4248 Sand Edge Common Pillar. S4248 Sand Edge Common Flush Bracket. S4248 Sand Edge Common Plug. 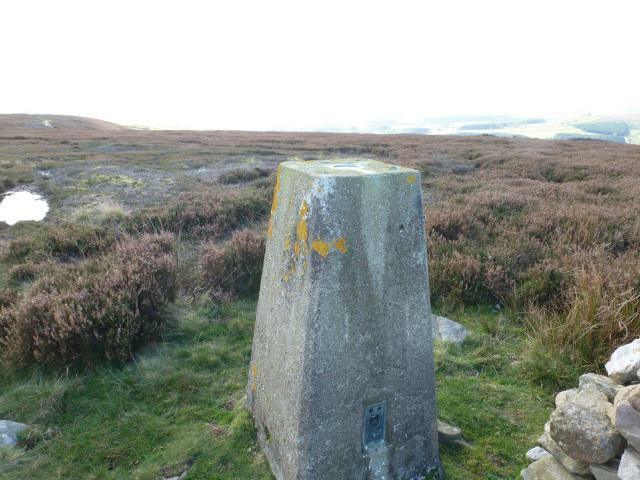 Pillar in good condition with plastic cap. 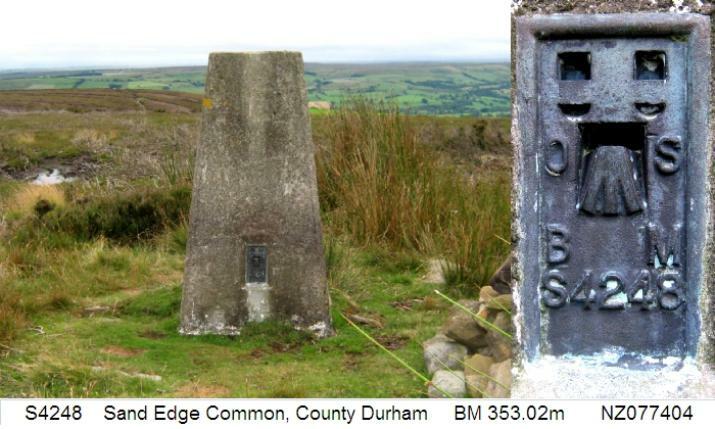 Walked up from Tunstall Reservoir. 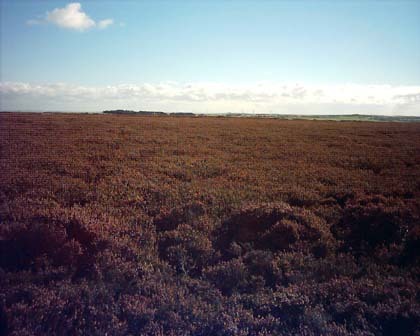 In the middle of a sea of heather. Mist spoiled views. 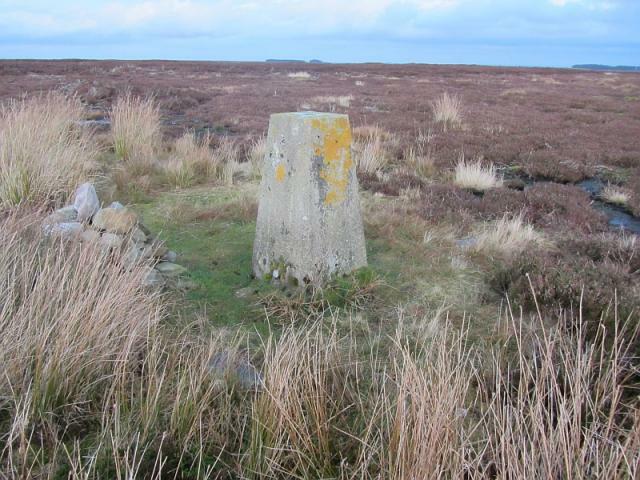 This is the closest trig to home -- Reservoir House (on Tunstall Reservoir) -- and I visit regularly... ;-) If you log this one, then drop in for a cup of tea (or if you prefer, a wee dram)! Sunday afternoon walk. 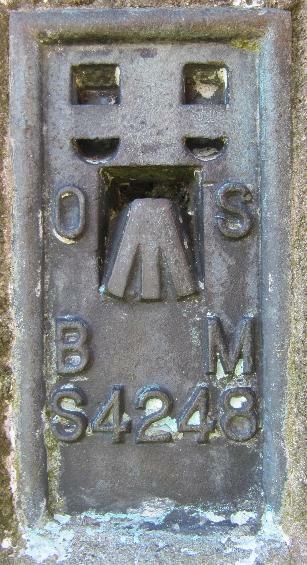 a circular from Tunstall Reservoir. 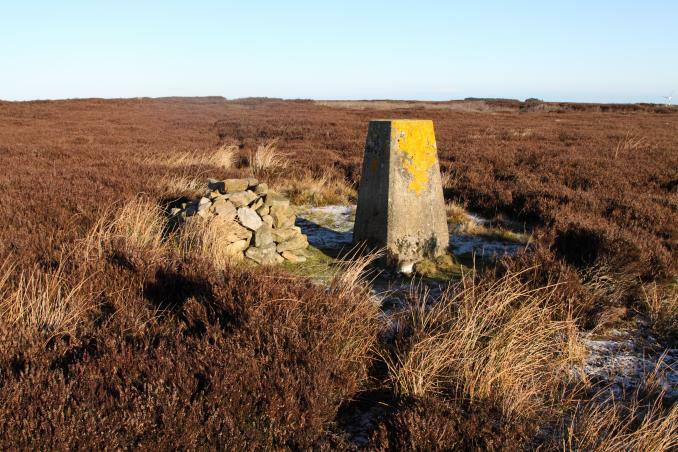 A trig point surrounded by heather, sadly past its best now, but a lovely day and a lovely walk from Wolsingham and around Tunstall reservoir which is very low. Good walk through the heather.